You have plenty of options when it comes to securing your home or business. But as you evaluate your choices, you’ll come across one major crossroad: do you use a national or local security monitoring company? There are many benefits to working with a local company who uniquely understands your community. The security concerns and dangers in your area aren’t necessarily the same as those in your surrounding regions. While national security companies often offer a “one-size-fits-all” solution to home security, a local security company is intimately familiar with your area. This allows them to appropriately assess the risks you face and offer a comprehensive security system protecting you from the things most likely to affect you. At Habitec, we have great relationships with local law enforcement in the communities we service. In collaboration, we have reduced the number of unnecessary dispatches to protected homes. Due to these efforts, Habitec even won a national false alarm reduction award in 2014! “Habitec Security’s work in reducing false alarm dispatches has resulted in our deputies having more time for productive law enforcement work. I appreciate that Habitec is doing everything they can to reduce false alarms in our area,” said Mark Wasylyshyn, the Wood County Sheriff. Reliable and friendly customer service help differentiate a business from competitors. Personal customer service representatives who know you by name is what sets them apart. When you work with a local security company, you’re not just a number to them – you’re a person and a family. Habitec Security’s team is made up of nearly 80 people who are part of the communities in which they work. Our employees average more than 20 years of experience in the security industry. You’ll see them around town, you may live right next door to them! When you have a question, concern or emergency, these are the people there to help you. We love our communities and are proud to support many local organizations including the Catholic Diocese of Toledo, the Delaware Chamber of Commerce, The Leukemia & Lymphoma Society, Ronald McDonald House, Toledo Walleye, Bowling Green State University and many more! Habitec’s Central Station is the heartbeat supporting everything we do and every service we provide. Habitec is proud to own and operate our own-UL monitoring center. Many alarm companies outsource their monitoring to mega-centers, which handle thousands of accounts for many different companies. Having our own, local Central Station, sets us apart from other companies. 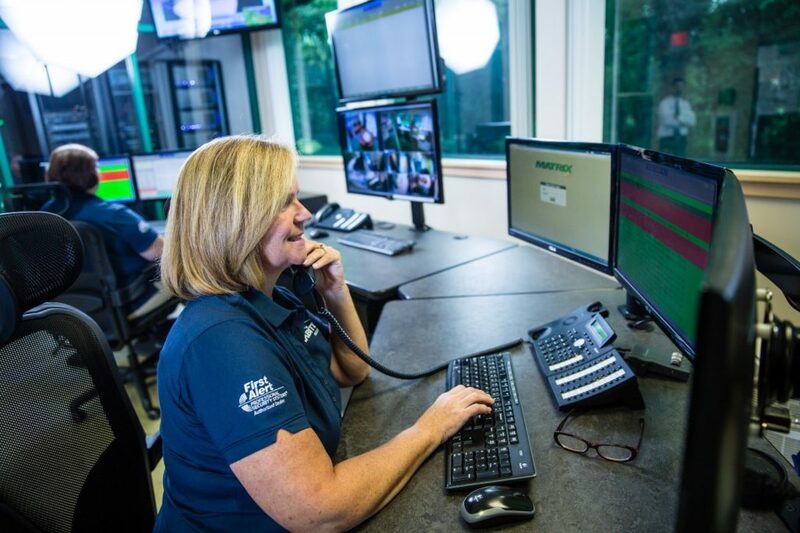 All of our dispatchers are trained, managed and employed by Habitec and can promptly respond to any alarm situation. Professional monitoring is the key component of an effective security system. Plus, we have next day installation available for certain systems. This quick turnaround provides peace of mind if there is a recent burglary in your neighborhood! If something is wrong with your system, it’s important to have it repaired or replaced as soon as possible. Depending on your system, we offer lifetime service and support and we fix your system for FREE! Habitec’s highly-trained technicians will make sure your security system is working properly in no time. Timely service calls are not typical with national brands – as they need to work with their sub-contractors to organize a date and time to reach your home or business. There are plenty of companies out there, which offer a DIY security system for a flat cost. These companies aren’t local, and more importantly, they don’t offer local monitoring. At Habitec, we have certified local technicians to professionally install your security system. Depending on your customized security solution, next day installation may be available. 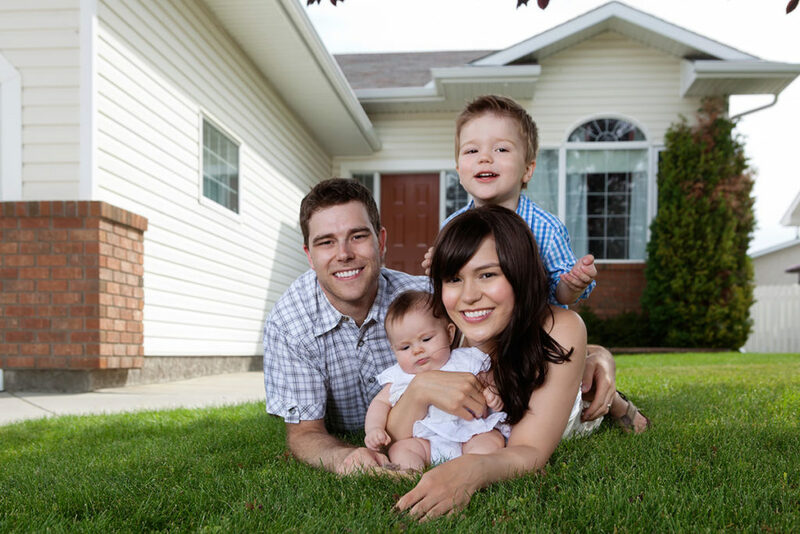 Professional installation ensures your security system is working correctly to protect your home and family. Online reviews and testimonials are a fantastic tool to learn more about a company before you contact them. Positive reviews with recurring compliments, such as reliability, honesty and service are the best clues to look for to identify a respected company. Businesses come and go in every industry. One of the best indicators of a quality company is one which has existed for decades. These businesses have established themselves in their communities as providers of quality services with excellent customer service. Habitec Security was founded in 1972 and grown over nearly half a century to be one of the most respected and largest security companies in our service areas from Columbus, Ohio to Charlevoix, Michigan. The most important part of any security system is the initial setup. Your needs are unique – whether you’re protecting a business or your home. What works for your neighbor might not work for you, so it’s important you’re able to get a security system designed uniquely for your home or office. It shouldn’t cost you anything to investigate your options! Habitec Security offers a free security evaluation when you contact us for details. Contact Us to Secure Your Home or Business! If you’re considering a security system for your home or business, our security experts can design a system for your security needs and backed by award-winning, 24-hour local monitoring.